I promised an official release date and now we have one. In just under two weeks, you'll be able to step into Zaya's shoes in T2X: Shadows of the Metal Age. Yep, the official date slated for release is May 15th! On May 15th, T2X will be available from a wide variety of sources, including FilePlanet and BitTorrents. The current build weighs in at 655 megabytes, so for those of you on dialup, you may want to look into a download manager that supports Resume. When we started working on this, most people assumed we'd quickly burn out and fade away. That's the fate of your typical full single player mod or campaign. However, what has made T2X different has always been the great dedication and even more so the great talent every team member has displayed - but perhaps a little more can be said for our fans, who have shown us unbelievable amounts of support. Without you guys, we wouldn't be here today! So where are we now? Now with a suitable Release Candidate 1 - the first build to be "finished" and to be considered a suitable candidate for release - we can say, for all intents and purposes, that we are "done." In the following days we will announce here the official release date, how you'll be able to get your hands on T2X: Shadows of the Metal Age and generally how testing on the Release Candidates is progressing! Thanks for sticking with us over the years, we hope you'll continue to be as awesomely supportive as you have been as we grind down to release. We've been working on this trailer for awhile and we hope you'll be as thrilled and as excited as we are! To view it, you will need the DivX codec. Earlier in the week, I received work from our cinematic team that our third cutscene - the last cutscene cinematic in the development queue - was finished, thus hitting one of the largest milestones to date and putting us that much closer to completion. And it looks pretty damn good, too. Now that the cutscenes have been finished, what's left before you can get your hands on the game? Mainly, we have but a very small number of briefings and an even smaller number of content odds and ends to finish up. Meanwhile, as that work is being done, we'll continue to polish what we have already finished so that external beta testing can go as smoothly as possible. 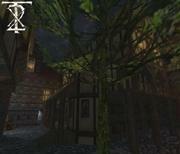 Hold on to your hats, T2X: Shadows of the Metal Age is on the horizon. Following right behind the beta announcement, yet another exciting milestone has been reached. Co-Lead Fett has successfully played through the whole of T2X from start to finish, all 13 missions completed back to back. Score! 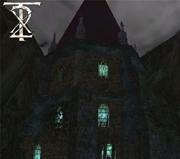 To celebrate this, today we have three more screenshots sponsored by those rotting friends of both you and I. That's right, the Undead. As usual, they're on the Screenshots page. You can find those and many more screenshots from past updates over on the Screenshots page! Stay tuned, as we get closer to release we will continue to update with more Media. "Well folks, after several long and painstaking years in development, I'm really pleased to announce that today, Thief 2X: Shadows of the Metal Age has reached an official beta. Thanks to Gonchong, the last of our 13 huge missions is all set for a final countdown of bugfixing. Most of the other 12 maps have undergone significant bugfixing and revision already, so it's only a matter of time before they're fully polished and ready to go. We're running full steam ahead, and with a continued push we should have things all tied together in time for a winter release. It's a really exciting time for us, and I hope you guys can remain patient just a little longer - it'll be worth the wait." We are indeed looking at a Winter release and we hope you're as excited as we are! While we may technically be in beta, we are not yet pushing T2X to our external beta testers, nor have we chosen a team for that task. That means there's still time, so email me with your system specs and anything else you may feel to be relevant if you're interested! V. Equinox continues her crusade, again producing more awesome Useful Goodness from T2X for you fans. For this round, Veq has created four AIM/MSN icons, so get your favourite IM client revved up, head over to the Media section and pick your poison. And six awesome Livejournal icons, which can be found on the Media page. Get them while supplies last! Well, it's been a few months since the last update. More than a few. Something like five. We've been pretty busy, lately more than ever - but lately, we haven't been working on T2X so much as we've been working on playing Thief: Deadly Shadows, or, Thief III. Okay, I know what you're thinking. We said we would be finished before Thief III. Did we up and die towards the end? Did we slow down? Did we forget? Did we get drunk one night and do things we'd later regret? No, no and no, kind of yes, but no, we've been working as hard as ever and Thief III's release took us all by surprise. Judging by the overall quality of the (albeit very, very excellent, and very, very fun) game, the release took their Beta Testing QA team by surprise, too. But go out and buy it. It's certainly a good end to a good trilogy and you'll be glad you took the time. 10 missions are in closed development Beta. This means beta is getting closer and closer towards hitting the few of the many who have signed up. The remaining 3 of our 13-mission set are closer than ever to completion. Beta applications have been neither accepted nor have they been rejected. Keep sending them! We've decided to hold off on this Beta until all thirteen missions are ready. This means I will not be choosing the Beta team for just a wee bit longer. The 'sets' for all movies have been finished and only need to be rendered before we can officially call them complete and take our cinematic team out for a drink. So, now that Thief III is out, what do we say to those asking when T2X will be released? It's a good one, be sure to give it a listen. Also, for those of you emailing me concerning Beta Testing (for which I am still accepting applicants), I'll be sending out the first wave of acceptance emails next week. Judging by the amount of emails we've been receiving lately, you guys have been hungry for an update. That's understandable, we've been rather silent since mid-August. We've been quite busy these last few months, determined to get this baby ready as soon as possible. We have some exciting news. Officially, six missions have now reached the internal beta stages. Unofficially, a seventh is also hitting beta, and the others are trailing close behind. What does this mean, other than that we're almost done? This means that it's time for you beta testers to sign up. Email me if you're interested, because external beta is only a short ways away and not everyone will get in. Please be sure to include your PC's system specs. We've got three more screenshots for you today, filed away with the rest in the rapidly-growing screenshot archive. We promised a big update and here it is. Okay, it's not as big as you may have hoped. We're still working on stuff and it all goes well. But that's not the only special thing about today. Most of you probably know the story. 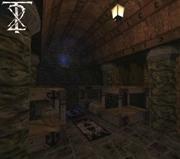 Looking Glass Studios, creators of the original two Thief games, announced their Death on May 24th of 2000. It was a very sad day in the gaming community, but there were those who would not sit idly by and watch things go to pot. 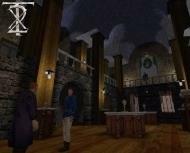 Instead, on that very day they put a plan in motion that would conclude the Thief series in the form of a fan project. 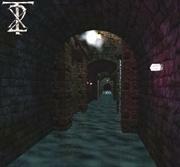 Originally, the Plan involved using a new engine for an amateur "Thief 3" production. 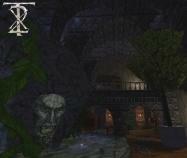 However, a second project emerged from that Plan - to tide the community over until the new game was finished, a team would be established in order to create an expansion for Thief 2. On this very day - May 27th - three years ago, T2X was born. That unorganized team of kooks and psychopaths turned into the Dark Engineering Guild. Oh, right, and we abandoned that "Thief 3" project around the time that Ion Storm picked up the series. I'm proud of the team for pushing the project this far. Their drive to create this campaign is truly admirable. We're in the homestretch. Nothing short of an apocalypse can stop us now, but hell if I know when we'll actually be done. One of our former team members, UnTow, has also put together an interview with me to mark this monumental event. You can find it here. Straight from the digital sketchpads of our 'Saturnine' and 'Zombeh' comes a new wallpaper for your desktops, featuring Zaya, the main character of T2X. It's been placed in the Media section, so check it out! It's been a long time coming, but the gigantic update we promised is finally here. 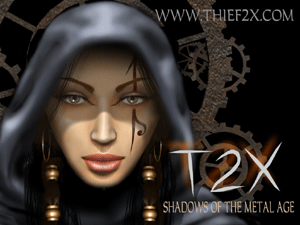 Update your bookmarks - among other things, you'll notice that T2X has now officially moved to the thief2x.com domain. First off, I'd like to thank Randall Earnest and addink from TTLG for providing the lovely graphics for this new design. There are still some HTML kinks and typos which I will be working out over the next few days, but this is a nice thing indeed. Please take a moment to look around the site. We've added new screenshots and new artwork, updated the FAQ, provided a lengthy Credits list and released more than a few juicy details about the new main character and the storyline revolving around... her. Yeah. Go check it out. But now you ask, "what in heaven's name have you guys been up to since that last update over a year ago?" A lot. So many things are so much closer to completion that the end is almost in sight. Missions, movies, objects, textures, voice sets, everything is closing in. We still can't say exactly when we'll be done, and it won't be very soon, but we can now say "before Thief 3" without hesitation or fear of future lawsuits by angry gamers. That isn't all, though. Another large update is in the works. Check back regularly, we'll have something new for you to consume very soon. Until then, hop onto the T2X forum or connect to our IRC channel (irc.starchat.net, #tfmp). We're always accidentally letting information or exclusive screenshots slip to the public on IRC.